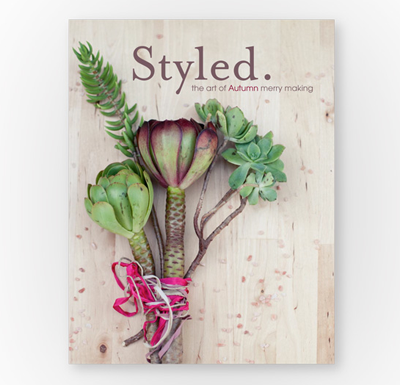 The second issue of Styled magazine hit the internet yesterday, and it's lovely! 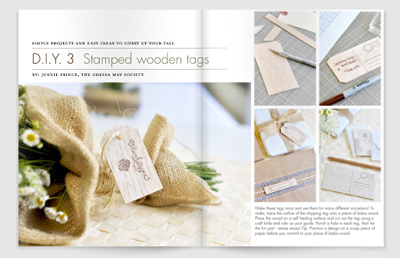 Full of beautiful photos, recipes, DIY ideas, and entertaining tips, this issue's theme is autumn merry-making. My favorites were the DIY gilded bottle project and Melissa Esplin and Jill De Haan's pretty six-piece printable party stationery set. The best thing about online mags are the clickable links, so don't miss a single free download, product source, or project tutorial. Flip through the entire magazine online, read the PDF on your iPad, or buy a printed copy right here. Wow, what a great resource! Thanks! Thanks for the shout out, Jessica!! I'm just floored at all of the creativity that went into this issue alone. Just bonkers. I love every single idea in there! Looks lovely, will go have a read now. Thanks. I can't thank you enough for posting this...I love it so! Lovely magazine! Thanks for sharing! Nice magazine. It was cute. Thanks for sharing with us.